After eluding to it in his state of the union address President Obama announced this week his plan to pour an initial investment of $100m into a new research initiative from the National Institute of Health to map the active human brain, and it was immediately met with criticism from a wide range of scientists, journalists and bloggers. Who presented a blizzard of issues with the proposal. I’ve aimed here to try to tease out some of these questions and relate them to why, I believe, this is a worthy undertaking. Dubbed the BRAIN Initiative- another beloved acronym for Brain Research through Advancing Innovative Neurotechnologies- the hope is that new technologies improved upon and developed as part of the initiative will be used to record neuron activity, thus improving our knowledge of the brain’s micro-circuitry. This will hopefully lead to better understanding and treatments of neurological psychiatric conditions. A wide range of these are used as examples in his speech, from Post Traumatic Stress Disorder and epilepsy to Alzheimer’s and Stroke. Indeed our poor understanding of neurological conditions and that far less options are presented to patients suffering from brain diseases than nearly every other area of illness, in my view, presents us with a moral obligation to fund any neuroscience projects that have merit, and therein lies the rub (more on that later). In addition it is hoped that new technologies will spring from the project, decreasing the gap between mind and technology and opening up new territories in computing. Creating new industries and jobs in their wake. In his state of the union address Obama pointed out that the human genome project has returned $140 for every $1 invested and linked innovation in projects like BRAIN with their good returns and potential improvements to the economy. Apart from it’s predicted applications (which are likely to be the tip of the proverbial ice berg) what excites me the most is the possibility to look at the crucial middle ground between cellular and molecular neurobiology and the gross anatomy, in an active brain, thereby shedding light on the most complicated object in the observed universe. 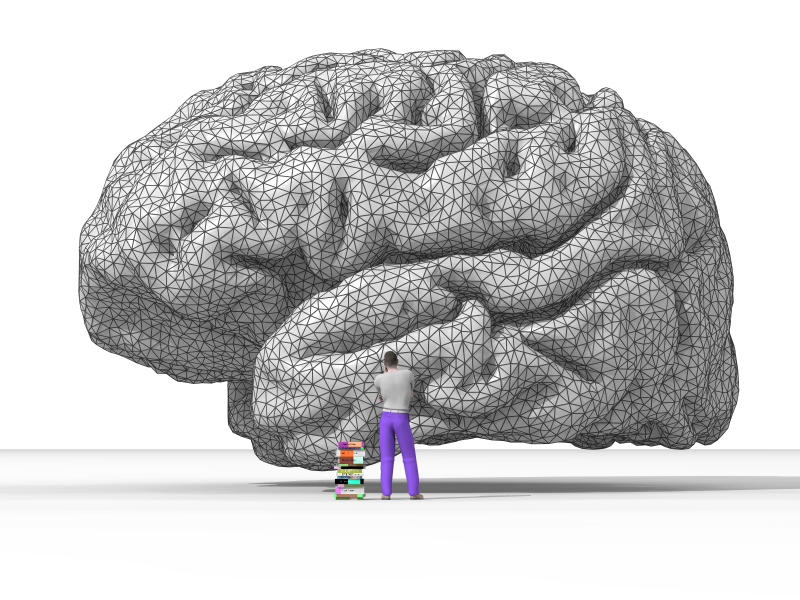 It’s hard to overstate the lack of knowledge we currently have about the brain, and if the BRAIN initiative will move us a crucial step closer to (dare I say it?) a theory of consciousness or a deeper understanding of its specialised regions and functions, then I will be a happy brain indeed. Although, as I mentioned many don’t view the initiative as positively as I do, and indeed at this early juncture there are many, many, creases to iron out if we are to continue in such a herculean undertaking. Criticisms vary between the feasibility of current technology to map the active brain and the allocation of funding to a particular aspect of neuroscience when wider funding could do more good. One can outline these criticisms through the interesting comparison between BRAIN and the human genome project. Many have drawn parallels between the BRAIN and the human genome project, indeed both are examples of ‘Big Science’ with biomedical applications and profound rewards but many have argued there are crucial differences which make such a comparison inaccurate. There is the funding discrepancy, the human genome project received $2.7bn over it’s course, but the funding that BRAIN will receive in 2014 is only an initial investment with further budgeting to be determined. Some have estimated a total of $3bn could be spent on BRAIN in the next ten years, which is cause for celebration and alarm depending on your position on BRAIN. 2. The ability to accurately monitor the activity of these using voltage sensors, given that they have lower resolution that necessary due to a poor signal to noise ratio. 3. The ability to record the current estimate of 86bn neurons when “many thousands of neurons” is conceivable only when the electrical recording probe technology has been further developed and improved. 4. Using synthesized DNA to encode spikes in neuron activity with calcium-induced errors to record the activity of the neuron. As the most exciting proposed method it has garnered the most derision from critics, who rightly state it’s untested nature and how similar methods (cation concentration monitoring with DNA polymerases) have only been used in cultured bacteria. I will accept the broad basis of these criticisms, yes- the resolution of recording technology is a problem, and indeed DNA encoding spikes is at the moment more concept than methodology- but I absolutely refute these arguments as a basis for not pursuing a map of the brain. It is incredibly easy to outline the limitations of technology, it doesn’t mean it can’t improve or that it is without use. In the case of HGP the original Sanger sequencing techniques (I can support with personal experience) are incredibly slow, and sequencing only gathered momentum with massively-parallel technology. 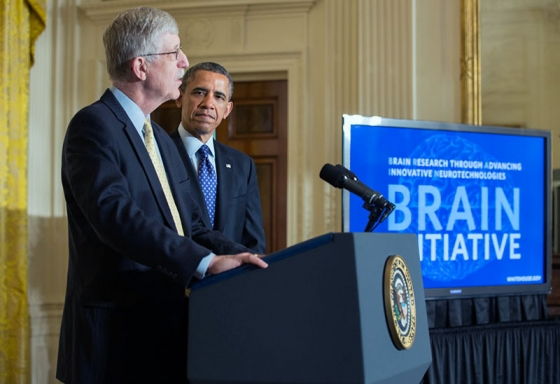 The same innovations can occur here, and the changing of the name from Brain Activity Map to Brain Research through Advancing Innovative Neurotechnologies reflects the initiative’s recognition and commitment to do this. Further arguments relating to placement of the funds into BRAIN rather than wider neuroscience rely on BRAIN not bearing fruit in future years, in which case the project is unlikely to receive the full $3bn that has been estimated for this coming decade. There is still a great deal of funding for other neuroscience proposals and the BRAIN initiative will likely create more under the umbrella of it’s wide an as yet undefined remit. The argument of funding widely or putting your eggs in the single basket of ‘Big Science’ is an old one, with many varied political, economic and scientific dimensions. I will not delve fully into it here, other than to say that I believe a field at a certain crucial junction requires a big push in one direction to open up knowledge and implications that we couldn’t have otherwise anticipated. I believe in big science as well as culturing an environment for wider research, and it is sad that a choice has to be made sometimes between which to focus on. Time will tell if the BRAIN is the right push at the right time that neuroscience has been looking for. As to it’s wide and as yet undefined remit, these are early days and the questions naturally outweigh the answers. There is time for goals to be set. That, I would argue is the easy part. The questions are indeed abound; What do we mean when we talk about a map of the brain? What evidence is there that a map will give is a deeper understanding leading to new treatments and technologies? Will the initiative even end up mapping the brain in the end? Instead pursuing technologies that can be used in other research. These must be answered but are part and parcel of any project such as this, certainly the HGP. The questions relating to genomic research and applications are still being played out today. The Human Brain Project, a similar big science project in Europe has more clearly defined aims and a road-map as to how to continue. The goal is to create a detailed, realistic and comprehensive computer model of the brain to improve future treatments and create new types of electronics. The technology is easier to define and anticipate as it essentially relies on more and more powerful and dynamic computing. In the future these projects may hopefully form a transatlantic positive feedback loop to aid the progress of both. Ultimately, whether you support the BRAIN or not probably depends on your position on whether you believe it’s a good investment or whether you value knowledge for the sake of knowledge. I doubt I have changed your mind either way. History has shown that large interdisciplinary projects can jump science’s understanding forward in ways we never truly anticipate at the time. The question is whether this will be case of history repeating itself or not. Still we always get something from research (generally both economical and philosophical), and as I see it the more the spot light is applied to neuroscience the better- for all areas. In short, the brain represents the deepest and most personal mysteries of the narrative, course and shape of the human condition. The more we look the more we discover about ourselves, and the more able we are to forge a better society through unfolding the unknown aspects of our sense of self, and our story as a species. This entry was posted in News, Uncategorized and tagged Advancing Innovative Neurotechnologies, Barack Obama, Brain, brain initiative, Brain Research, Human Brain Project, Human Genome Project, National Institute of Health, neuron activity, Obama, science, traumatic stress disorder, worthy undertaking by thirdculturemedic. Bookmark the permalink.